Our full videos break down into 6 sections running continuously through the days events. Every package we offer includes a full video edit. 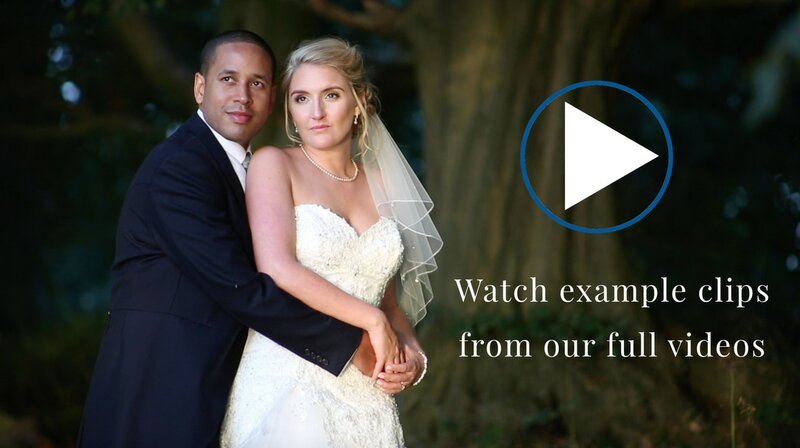 The video features montage-style sections accompanied by music of your choice, as well as full coverage with live sound of the ceremony, speeches and first dance. For more information about the full videos and videos about each part of the wedding day please click here. We also offer a highlights video edit, normally edited to the first dance music and offering a lovely overview of the day as it unfolded from start to finish. The highlights edit is included with Package Three and offered as an extra feature with Packages Two and One.